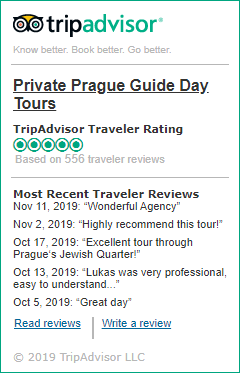 – The best way how to explore the Czech Republic is in an air-conditioned vehicle and with one of our professional guides. – See our driving tours in and outsider of Prague. – We can also arrange renting a car for you. Contact us for details. – You definitely shouldn’t rent a car to explore Prague because one is not allowed to drive in the historical city center. – If you want to see the countryside, driving can be a fun way to travel. – By road, visitors can enter the Republic at over 30 points and the list is growing all the time. – It is advisable in order to avoid fines, to obtain a window sticker (dálnicní známka) which goes on your windshield (see lower: Traffic Rules). Most filling stations and post offices sell them. Rented cars should come with a valid stamp already. – Major roadways radiate from Prague like spokes on a wheel, so touring the country is easy if you make the capital your base. – You are advised to check the most recent map before you travel. Alternatively, see www.motorway.cz where you will find updates on the newly built motorways. – Foreign drivers are required to have an international driver’s license and proof of international insurance (a green card issued with rental cars). – Czech police are infamous for stopping cars with foreign plates, and the “fines” they exact are often negotiable. If you’re stopped, expect to pay at least 1,000Kc for speeding. – Those caught by the police should ask for some type of receipt (úcet in Czech, pronounced “oo-chet”); this can help cut down on overpayment. – gasoline (benzín) in the Czech Republic costs much more than you’re accustomed to paying -around 30 Kc per liter, or 120 Kc per gallon. – Filling stations, which used to be difficult to find, are now on all major highways. – Most are open 24 hours, and most have minimarkets or bistro with food and drink as well. – If you’re leaving the country, fill up near the border, as the price of gas in Austria and Germany is much higher still.